My mates in the Hague have launched a new online literary magazine focusing on intercultural writing — Cecile’s Writers. I have a story in the first issue. It also features great pieces by Katherine Heiny, Peter Crowe, Ray Jewell and Vyvyan Fox. Check it out here. If you’re an intercultural writer or expat, submit a story to them! 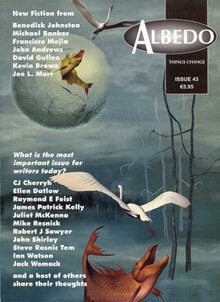 Issue #43 of Albedo One, Ireland’s spec-fic magazine, is now available in print and digital editions. Not only does it feature a cool selection of stories, a host of writers and editors share their thoughts on what they feel is the most important issue for writers today. 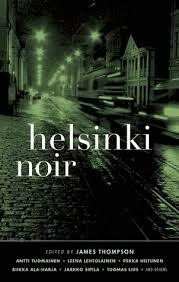 My story, “Death in Life Songs,” is magic realist noir. Check it out.